Arthritis is not a life sentence…! Osteo-arthritis (OA) is a condition that a large proportion of us develop at some point in our lives and to varying degrees of severity. Osteo-arthritis means that there have been some changes to the bones of the affected joint most likely as a result of wear and tear and years of dysfunctional use and movement. Do you feel that you aren’t moving as easily as you used to? It is a natural consequence of aging that our bodies begin to lose flexibility, muscle tone and strength and often this results in a dysfunctional way of moving which will eventually wear on the bones in a joint. This decline isn’t inevitable though! It is important to remember that even though you may have been given the diagnosis of arthritis, this does NOT equal a life sentence of suffering or that you cannot do anything about it. Really? What can you do about it? I have found that even if there are changes to the bones of a joint, it is still possible to achieve lasting relief from pain, increase the mobility and consequently also your confidence in the joint. This is because bones and joints do what muscles tell them to do. Rather than the bones in the joint, it is often the soft tissue that surrounds and moves the joint that is responsible for the majority of the pain you feel. By working on and changing this soft tissue, the joint will function and move more efficiently and with less stiffness and less pain. For most people, arthritis causes discomfort, pain and stiffness in one or more joints and causes fatigue…and does not only affect the elderly – in fact it can begin developing at a young age. In Chinese medicine this is a well-known saying and it is a fantastic analogy for our joints over time. OA most often result from over-using joints in perhaps not quite the most efficient way. But what accelerates the condition and its debilitating effects even more quickly, is stopping moving your body once you experience arthritic pain or receive the dreaded diagnosis. 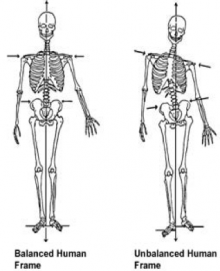 Once you become used to living with the pain then you may begin to move in a restricted way and even create new patterns of tension and altered gait as a result. Then your joints (hinges) can only continue their ‘rusting’ and the condition can spread to affect the soft tissue around the affected joint as well as the integrity of neighbouring joints. 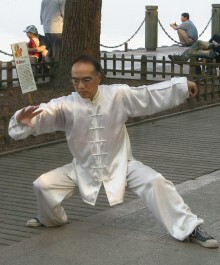 The Chinese long ago devised systems of exercise that can greatly benefit joints at almost all stages of ‘rusting’. Performing these specific exercises regularly will prevent atrophy and increase the strength of the supporting soft tissues. Both Tui Na and acupuncture are very precise and targeted therapies and we use them both in helping to first of all relieve pain from an arthritic joint, and then helping to achieve the maximum mobility that is possible from that joint. Part of a treatment would include self-care advice and the teaching of appropriate exercises which would allow you to carry on the effects of a session at home. Daily self massage of the joint where possible (a knee for example) can also help and is simple to perform once instructed. Chinese Medicine and Diet – look for quality, variety, enjoyment!